Applied Infrared Sensing has released new series of professional grade hand-held infrared thermal imaging camera systems, the AVIO TVS-200EX and TVS-500EX, manufactured by AVIO (Nippon Avionics) in Japan. The new TVS EX series are based on a new VOX (Vanadium Oxide) 320 x 240 pixels detector (professional optical resolution) with greatly improved optical and temperature resolution. VOX detectors are valued for their stability and accuracy, typically their export is restricted from countries like US. The new infrared cameras and infrared detectors are made entirely in Japan. The detector does not require an export licence for Australia and New Zealand. 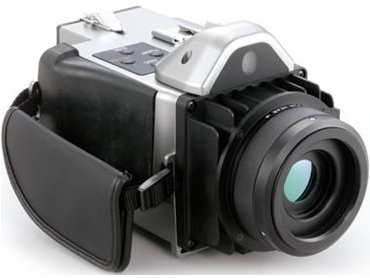 TVS-500EX infrared camera is now popular due to its advanced image mixing (visual and infrared) and also USB interface and software for real time image acquisition and analysis in the list of standard features. AVIO TVS-200 is also based on perfect detector engine and it has the most important functions and specifications which professional thermographers require. AVIO TVS series have been used in Australia for more than 10 years and earned good reputation in condition monitoring, maintenance, research and development (including electronics), in medical clinics and buildings assessments. AVIO cameras are currently used by a broad range of government and industry organisations in Australia and New Zealand. AVIO now holds more than 95% of the Japanese market with their professional grade hand-held thermal imaging systems and are quite popular in other markets such as Europe and Asia. Today AVIO thermal imaging cameras produce perfect image quality among many hand-held cameras currently sold in Australia. Image quality is one of the important characteristics of the infrared cameras (it is a combination of detector quality, optical resolution, thermal resolution and good electronics). Detector stability is another one. The GTS software for infrared image analysis and report generation is a strong point with its ease of use on one side and advanced functionality of MS-Word based automated reporting without compromise on the other.